What Is the Life Span of Our Dogs? - Petpav - Your Online Magazine for All Things Pet! What Is the Life Span of Our Dogs? We love our dogs and they become an integral part of our family. And, of course, we want them to live a long, healthy life; how long do our dogs live? There are many factors that can determine a dog’s life span and size is one of the most obvious. Most of the larger breeds live to be about 10 years old, while some small dogs can live as long as 14 years. Smaller dogs tend to live longer because their internal organs do not have to work as hard to function. Below are some tips to enable your dogs to live a long time! Visit your veterinarian frequently. Most vets recommend a check-up once every 6 months when your dog reaches his senior years. Blood tests, X-rays, ultrasound, CAT scans or MRIs might be necessary. Make sure to tell your vet about any changes in your pet’s stamina, appetite or behavior, when it began and what might have triggered it. During those visits, make sure to have your dog’s hearing and eyesight checked. It’s not unusual for an elderly dog’s eyes to look cloudy, and the condition may not signal illness. Like humans, however, they can develop cataracts and glaucoma, and can experience hearing loss. 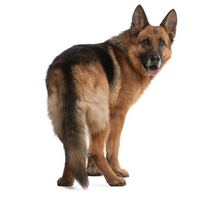 If your dog is seemingly disoriented or is startled when you approach, your pup might be losing his or her hearing. By grooming your dog regularly, you can not only keep his fur detangled, but can check for any bumps or lesions that you might not have noticed. If you can, try to brush your dog’s teeth daily. This staves off tooth decay and helps prevent gum disease and tooth loss. Brushing regularly will also allow you to notice mouth and tongue ulcers early on. Provide moderate exercise for your pup. Exercise helps your dog maintain muscle tone, keeps his heart and digestion healthy and even improves his attitude (just live. Try not to overexert your dog. Gentle games of fetch and other play not only keep him in shape, but keep him mentally alert and interacting positively with you. Stick to a regular schedule. 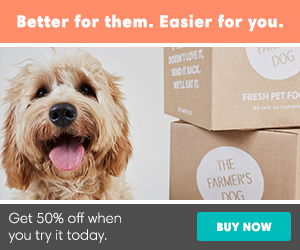 Your dog likes routine and will certainly appreciate it now. Try to feed and walk your dog the same times each day. As your dog ages, even the most social dog may not welcome strange animals or people, or even tolerate familiar children. Due to his failing senses, arthritis or forgetfulness, your dog may shy away from previously welcomed travel or other social situations. Don’t leave your dog outside alone. Keep your dog indoors and minimize his time outside. As a dog ages, he’ll be sensitive to changes in temperature – aging hearts and lungs don’t adjust as well to extremes of hot and cold. Since his senses, reflexes and thinking aren’t as sharp, the dog is likely to be more prone to accidents, injury from other animals or even getting lost. Give him a soft bed. Arthritis, elbow calluses and other conditions will make it harder for your dog to sleep soundly. Orthopedic dog beds are available. An aging dog gains weight more easily because his metabolism is slowing. Your vet can recommend food that is high in fiber and lower in fat, so that your dog is eating his accustomed amount of food, but fewer calories. Always provide fresh, cool water. I hope your dogs’ live a long and fruitful life. You can find more articles on dog care on petpav.com, our pet social network that is like Facebook for pets.